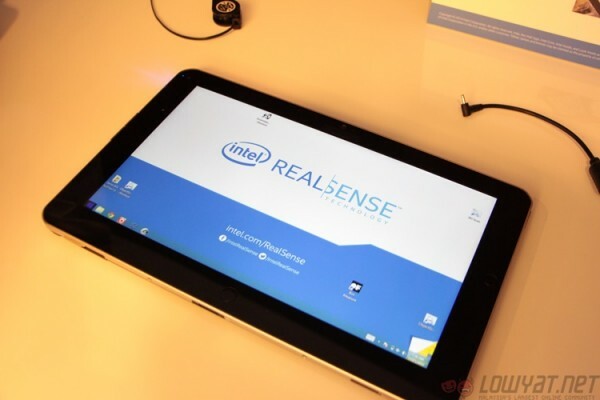 Intel’s RealSense camera is like installing an Xbox Kinect into a tablet; without making it too thick. 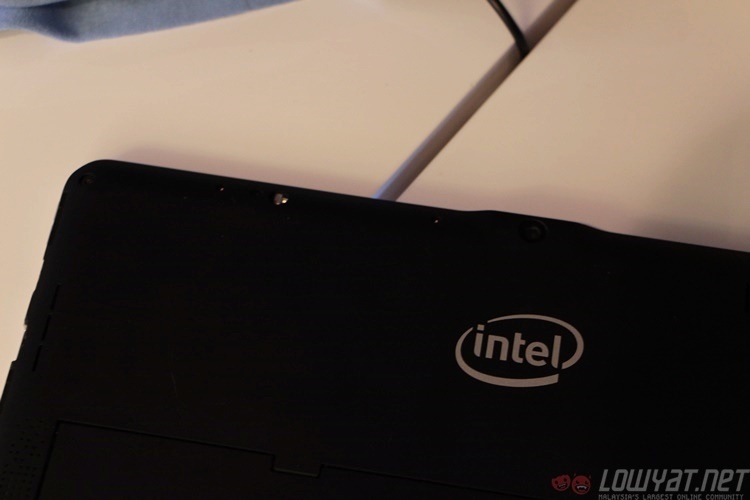 We had the chance to experience what it can do at Intel’s Future Showcase in Singapore, where two versions were on display; one on a reference design tablet, and the other installed into a laptop. The RealSense technology isn’t entirely new; several companies have been messing around with spatially aware cameras for years. The trick here is that Intel has decided to make it small enough to fit into modern mobile devices. One use of the camera is to rapidly determine the dimensions of whatever object it is pointed at. To do this, the RealSense camera makes a note of the distance of the lens from the object, as well as several other reference points the room to provide the software a sense of scale. It then triangulates the angles on the object using the two cameras to determine what the real dimensions are. As of now, it is limited to mainly boxes but Intel is trying to push it to be able to recognise a greater variety of objects. 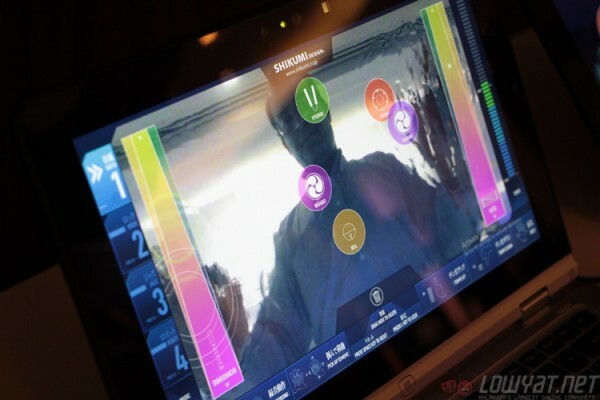 Intel also had a sort of musical game on display, where players could interact with on screen objects to produce music. It was interesting to be able to move the multiple buttons around with gestures and then plucking imaginary strings along the sliders to produce sounds. Musical talent would possibly have been a great help for trying it out. Another demonstration involved video conferencing software that would allow the user to replace his or her background with any image; without the use of a green screen. The depth sensor again does most of the work here as it singles out the person sitting in front of the computer by figuring out where he or she is in relation to the background. This particular demonstration wasn’t entirely smooth as the software still had trouble catching up with rapid hand movements. 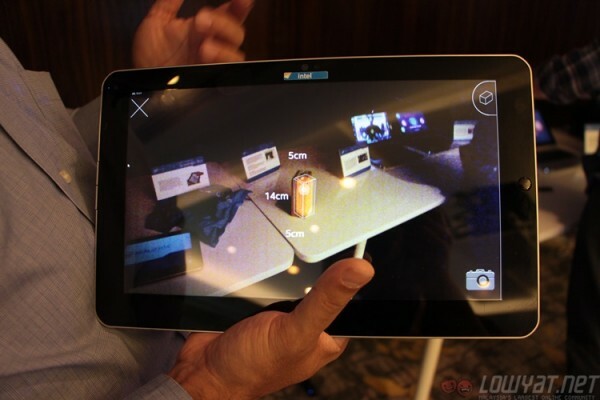 Google has a similar development programme going with Project Tango, although that is more concerned with creating a spatially aware tablet camera that is capable of mapping rooms. Microsoft’s own Kinect module functions in roughly the same way, although it is nowhere near as mobile friendly; instead being focused being a more powerful system that is capable of tracking multiple points of movement. 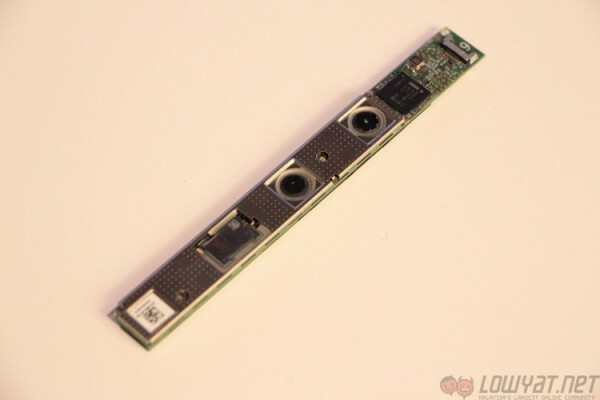 Intel has promised that consumers will be seeing RealSense cameras in OEM machines by the second half of 2015; and it looks on track to keep that promise of better perceptual computing.